Open Data has become an important trend on the web during recent years. More and more people start believing that data should be available for use free of restrictions. Initiatives like Data.gov and “Hack de Overheid” pressure government institutions to release data that was paid for by taxpayer-money. At the same time business on the web is changing. Companies like eBay, Twitter and Facebook realized a website alone limits their reach. They increased their own business potential by opening up through open APIs (Application Programming interface). Not only did this bring a huge growth to their business, it created an ecosystem of companies that built their own businesses on top of these open APIs. 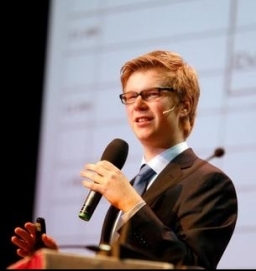 Tom Verhoeff is a computer science student turned entrepreneur. In 2010 he, together with 2 fellow students, was responsible for the development of the MyTimetable interface which since then was turned into a successful company called Eveoh. Eveoh supports further development of MyTimetable under an open-source license and has expanded the software to universities across the Netherlands, Belgium and the UK. Opening up data through open APIs is a huge opportunity to both inspire innovation and improve your own service offering at the same time. Why should a university invest in opening up its data? And what kind of data and applications should it be focused on? In his talk Tom will discuss how answers to these questions will make life at the university better for everyone. 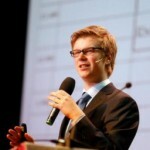 Want to attend Tom’s talk at TEDxDelftSalon: Innovating university life through open data on 23 May? Please RSVP at our Facebook fanpage.